The first week of the month leads up to the Feast of the Epiphany on January 6. Read about what's going on in town for this last day of the holiday season. Florence is a cultural city and the winter months provide tons of live music such as classical concerts and operatic performances, find out what's on! The city's world renown museums and quiet and peaceful in January and lines are actually short for a change, find out which museums suit you. Lastly, find out what soccer matches are awaiting you, support the local team and feel like a true Florentine! First, the Tried and True Favorites! At any time of the year, the best way to make the most of your Florence visit is to take part in the popular faves like museum visits, walking tours, shopping, and, well, eating! One of the festive things to do in Florence in January is to take in a classic ballet performance of Sleeping Beauty, an all-time favorite. Start off 2016 enjoying the graceful beauty of the Moscow ballet troupe bringing to life Tchaikovsky's story of Sleeping Beauty and the fight between good and evil that the tale represents. At the ballet's premier in 1890 Sleeping Beauty actually garnered more praise than Tchaikovsky's earlier work - Swan Lake - and is still, while less well-known, one of the most loved and performed ballets across the world. The performance is in 3 acts and last about 2 hours. The Feast of the Epiphany - January 6 - is a big day in town, also because it is the last official day of the holiday season. One of the very popular things to do in Florence in January is to see the Procession of the Wise Men, a group of locals who re-enact the journey to Bethlehem. The event sets off from Piazza Pitti at 2 pm, crosses the Ponte Vecchio, and heads over to the Duomo where the nativity scene has been set up. 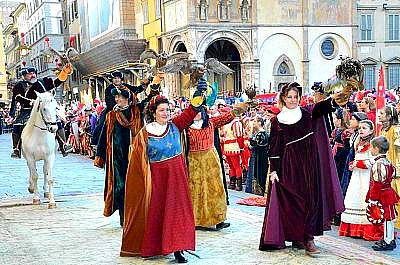 Not just the Wise Men, the entire Florentine Republic procession takes part all in period costumes: flag throwers, maidens, and a marching band. 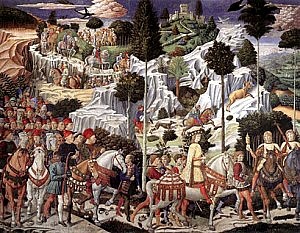 This is a tradition that goes back to the 1400's and which even the Medici family used to take part in as actors in the procession, as depicted in the Gozzoli mural at the top of this page. Another local tradition is the vintage car show on the Feast of the Epiphany day, January 6. 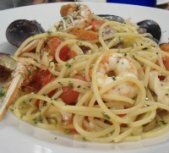 If you're looking for things to do in Florence in January that are a bit off the beaten path (and not so widely known!) this is a great option. 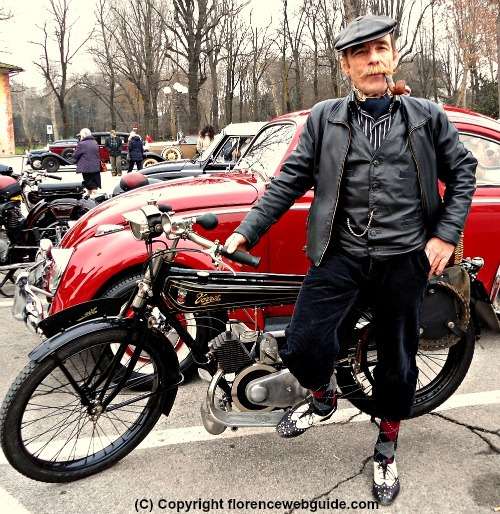 Vintage cars and motorcycles (see pic) dating from the 1940's onwards drive through the city on a mission to bring gifts and treats to the traffic warden who is waiting for them in Piazza delle Repubblica. It may seem strange for us today, but in the past the traffic police were not those annoying people who gave out fines, but were considered very important in maintaining order and safety for motorists. The procession starts off at the Cascine park at around 10 am, winds throughout the city streets downtown, and ends up in Piazza Repubblica at about 11 am. Just be there along the main streets and squares downtown and you'll see the cars passing by, it's a lot of fun and also free! 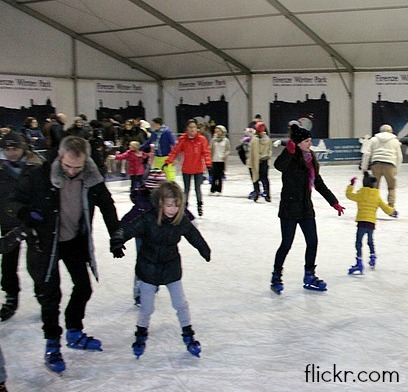 This is one of the most exciting things to do in Florence in January with kids! Children and teenagers will love to ride in an old steam locomotive on the morning of Epiphany Day, January 6. 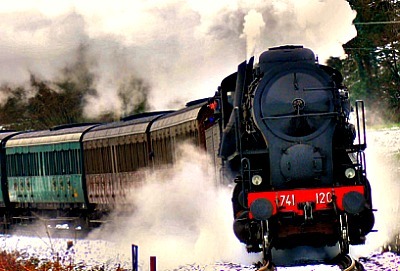 This historic train leaves from Santa Maria Novella station - made up of antique train cars led by an old-fashioned steam engine - and chugs along taking passengers through the panoramic countryside around the city into the Mugello area and its woodsy villages out of town. On Epiphany Day gifts are brought to the children as the ride is taken along with the local Befana (a sort of good witch in Italy who brings treats to kids). Cure Cover Band & 80s Tribute Night! Stressed out or tired? Find the CURE!! A 'dark' night of fun for those looking for something in Florence besides museums and very off-the-beaten-path...an 80s music tribute live at one of the city's most popular off-beat locales, 'Flog'! 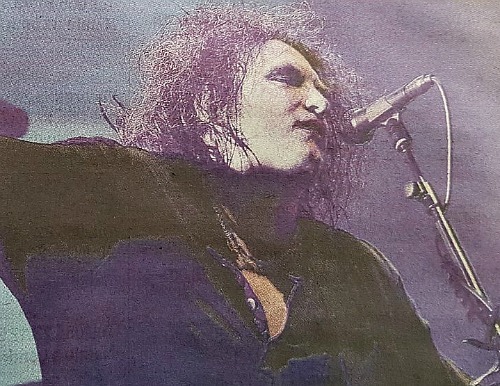 The evening is aptly named 'The Cure - Boys Don't Cry Party' and offers not one but TWO fantastic concerts. Headliners are 'Easy Cure', the official Italian cover band of the great new wave group with 20 years of experience (I've seen them, and they are top notch!). The opening band is another eclectic cover group, 'Madame Sadowsky', who play a mix of the best-loved English 80s hits by bands such as Simple Minds, Depeche Mode, Bauhaus and Joy Division just to name a few. After concerts the night goes on with a dj set! If you're nostalgic for your 'old faves' and a night of clubbing don't miss out! Another very exciting and free event in Florence in January is a concert in San Lorenzo church, the official basilica of the Medici family. 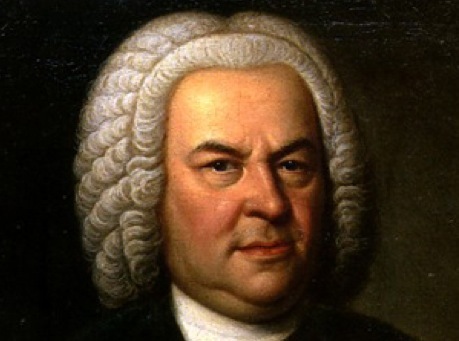 The program includes the Mass in B minor, one of Bach's last compositions dating back to 1749, one year before he died. The religious service will be carried out by Cardinal Giuseppe Betori, the archbishop of Florence. The orchestra and chorus will be the famed Maggio Musicale Fiorentino with Mario Ruffini conducting. 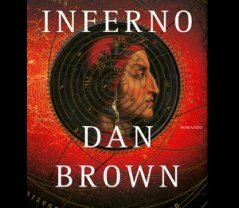 One of the hottest things to do in Florence in January is the ever popular 'Inferno' Tour. In January there as still some days left to see the nativity scenes at the historic churches downtown. 'Presepe' - as manger scenes are called in Italian - should be up and visible through the week of January 6 and some days after. Churches take great pride in their presepe and locals enjoy strolling around town going from basilica to basilica to admire each church's originality. 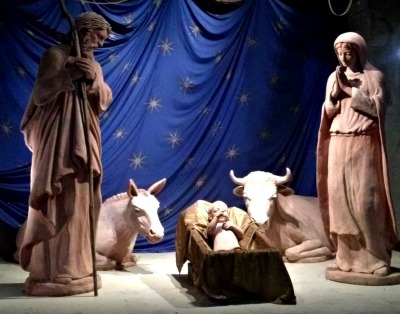 The Florence cathedral has one of the largest and most suggestive presepe (see foto), but it's interesting to see several other nativity scenes as well since each church tries to do something different. Two popular presepe are at the church of Santa Felicita in Piazza Santa Felicita and the church of Santa Maria dei Ricci in via del Corso. 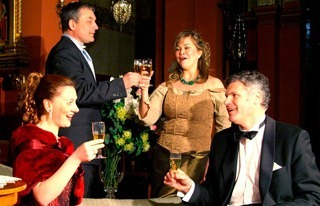 Among the really popular things to do in Florence in January is to take in an Opera Night in a historic church downtown. Whether at the cathedral Auditorium or an ancient basilica, the setting is cozy and intimate - you can really enjoy the performances from such a bird's eye view! Most operas are certainly Italian such as by Puccini or Verdi and Rossini with popular faves like: La Boheme, La Traviata, or the Barber of Seville. And that's not all - there are also plenty of classical music concerts in the Medieval church of Santo Stefano! See What's On the Events Calendar in Florence in January 2017! 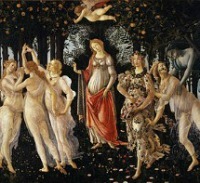 Looking for things to do in Florence in January with children? Check out the Winter Park! Florence is home to the Worldwide Artistic Skating Awards, a global competition in choreographed roller skating performances. 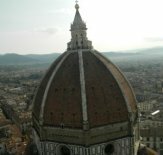 If you are looking for things to do in Florence in January 2017 other than museums, and a little bit out of the ordinary, this might be just for you! There are two shows: Saturday at 9 pm where the top skaters in the world put on their best shows for the jury, and Sunday at 4 pm, a skating-musical show called 'LatinoAmericana' with live singing of hits from popular musicals, aerial dancing and acrobatics as well. A great event for families and kids! 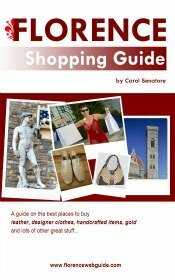 Want things to do in Florence besides museums? Nothing is more authentically Italian than watching a live soccer match, and rooting for the local team!